Migraines are a shockingly common ailment with ties not just to the headaches that the condition is known for but also to neck pain, one of the most common migraine symptoms. In fact, about 75% of migraine patients suffer from neck pain as well. What other facts are there about migraines that you may not know? Here are 10 surprising facts about migraines, many of which can be found on the Migraine Research Foundation website. About 10% of children and 12% of adults get migraines. That’s shocking figure. In the US, that means about 39 million people are suffering from this condition. It works out to about 18% of adult women. That means about 1 in 5 women will get migraines at some point in life. Interestingly, among children, migraines are more common for boys than girls. The change occurs around puberty, and women are known to have more migraines during menstruation, pregnancy, and menopause, so clearly there is a link to hormones. About 90% of people who get diagnosed with migraines will have a family member who is also suffering from this condition. Before you write that off as being due to how common the condition is, keep this in mind. If a parent gets migraines, all of that person’s children will have a 50/50 shot at being migraineurs themselves. If both parents get migraines, that figure jumps up to 75%. While migraines themselves are not hereditary, apparently the predisposition to them is. This is called chronic migraines. There are about 4 million people suffering from this condition. 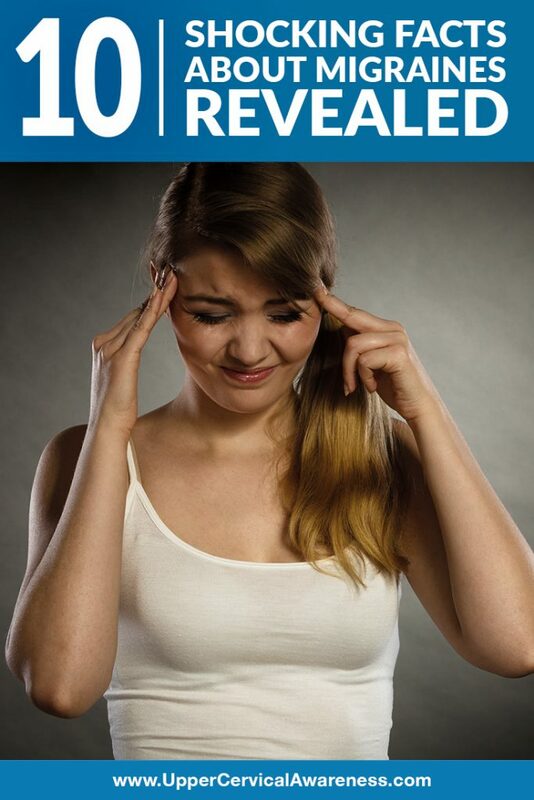 Having migraines so often complicates the condition. For example, chronic migraine patients are more likely to be depressed, and it increases the rate of suicide among patients. Therefore, loved ones should be on the lookout for signs of depression in a family member with chronic migraines. Chronic migraines also explain why migraines are number 6 on the list of the world’s most disabling conditions. Many people are still under the mistaken impression that migraines are just really bad headaches. In reality, migraines are a neurological condition. That puts it in the same category as things like multiple sclerosis and Parkinson’s disease. Other symptoms of a migraine include sensory sensitivity, neck pain, nausea and vomiting, vision symptoms, and more. Plus, only about 85-90% of migraines even have a headache as a symptom (migraines without headaches are sometimes referred to as silent migraines). One of the things most people don’t realize about headache medications (both prescription and over-the-counter) is that a major side effect of overuse is headaches. So some people who start out with episodic migraines see them progress to chronic migraines simply because they reach for that pill bottle every time a migraine starts. Migraine treatment was a $5.4 billion industry in the US in 2015. About a billion of those dollars that are spent go on brain scans, which are used to rule out other conditions before providing a migraine diagnosis. Overall, a family that has one migraineur spends an average of 70% more on medical bills than a family where no one gets migraines. The condition also costs employers a fortune. About $13 billion per year is lost by American companies paying out for missed work days due to migraines. Most doctors just treat symptoms, especially when it comes to conditions that are not well understood like migraines. That’s why people end up taking headache medications rather than receiving care in an attempt to find and correct the underlying issue. In 2015, the amount of funding that the National Institute of Health received for migraine research was the equivalent of about 50 cents per patient. That’s why organizations like the Migraine Research Foundation have sprung up in the first place. One way that dozens of patients in case studies have found relief is through upper cervical chiropractic care. This is a completely natural form of healthcare that involves gentle adjustments of the C1 and C2 vertebrae located at the base of the skull. How may these bones be related to migraines? A misalignment in this region of the neck can lead to cerebrospinal fluid pooling in the head and thus to increased intracranial pressure. It can also place pressure on the brainstem and inhibit proper function. Finally, the vertebral arteries can be affected, reducing proper blood flow to certain parts of the brain. All of these can be factors in migraines. Therefore, if you are suffering from migraines, it just makes sense to seek out the care of an upper cervical chiropractor before trying something more drastic or invasive. This is especially true if you experience neck pain with your migraines or have a history of head or neck trauma such as a concussion or whiplash injury. Use the search feature on this site to locate the practitioner nearest you, and then schedule a consultation to learn if this is the right option for your drug-free migraine relief.